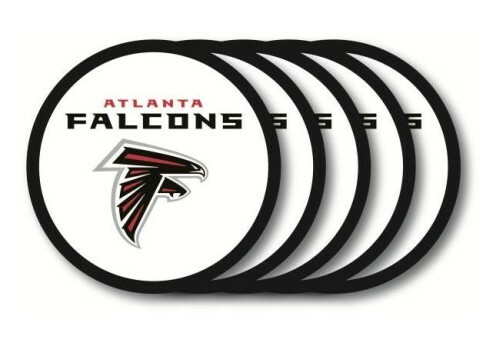 This Atlanta Falcons Coaster Set - 4 Pack perfect for protecting your furniture. These heavy-duty vinyl coasters are sold in sets of four. Beautifully decorated with team logos and colors, these coasters feature a non-slip surface perfect for setting down your drinks.